Have you ever come across an idea so great that you think to yourself, “Why didn’t I think of that! ?” Well brace yourself for this one, folks. It’s a doozy. 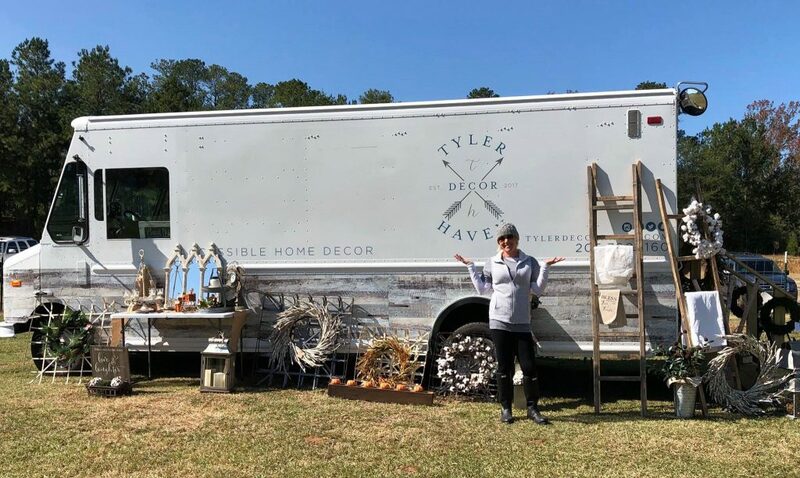 Earlier this week I got to meet Lisa Spencer, the owner of Tyler Decor Haven, which is one of THE coolest ideas for a home decor store I’ve ever seen. Lisa’s rolling business is kind of like an ice cream truck for decorating enthusiasts. 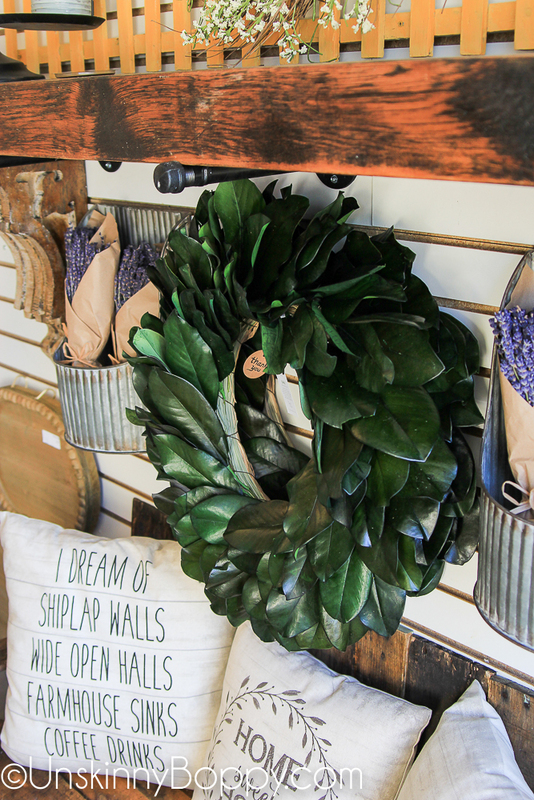 It’s filled to the brim with fabulous farmhouse style decor so she can pull up to any curb, open the door and let folks shop straight out of the back. When I asked her where she came up with the idea, her story begins in a place of sadness. Lisa’s father passed away in the summer of 2016 and not long after that she broke her foot, forcing her to take months off work as a nurse. While dealing with the combination of grief and injury AND having two toddlers at home, she found herself sinking into depression and looking for a way to change her life. She was praying for direction about how to overcome her grief when God shined a light directly on this huge truck. 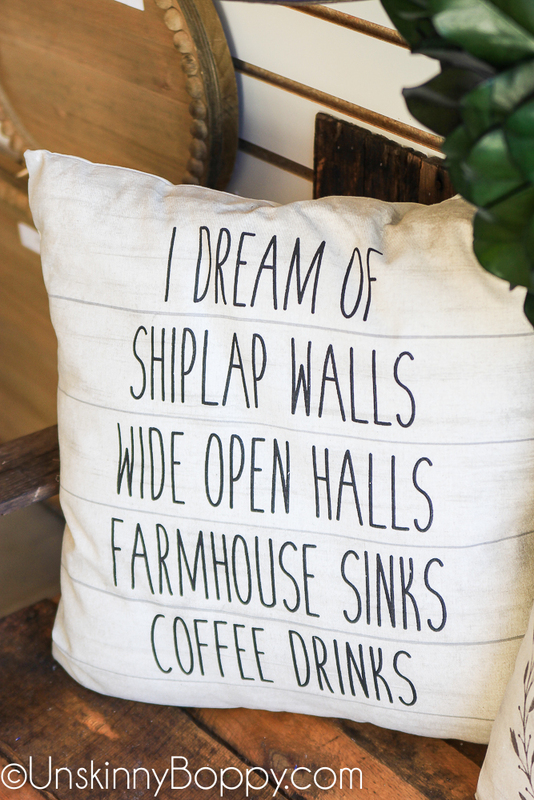 And just like that, the idea popped into her head to start her rolling decor store. 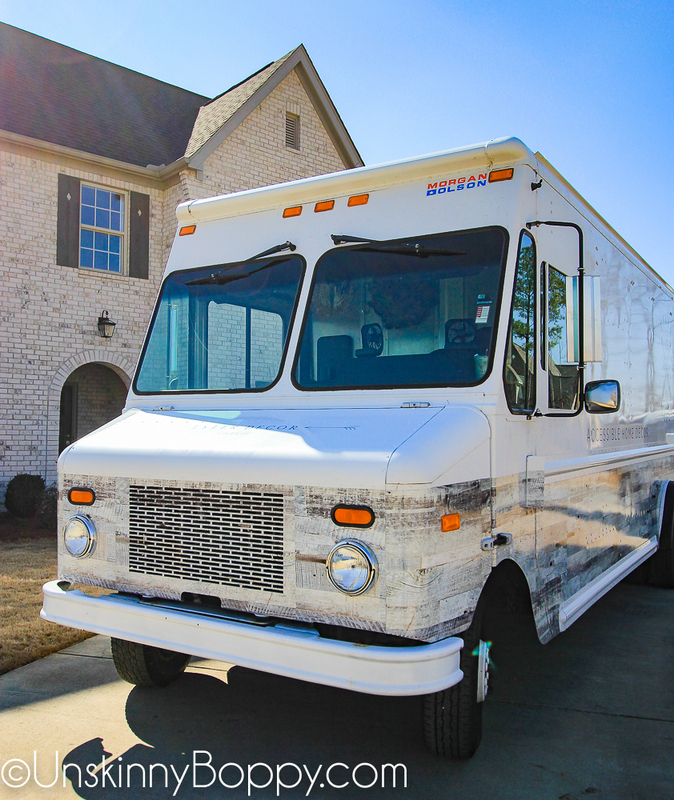 Come inside and take the grand tour to see what kind of goodies she’s selling out of this awesome truck! Lisa and her husband put lots of planning into retrofitting this truck so that it feels like an actual retail storefront when you step inside. 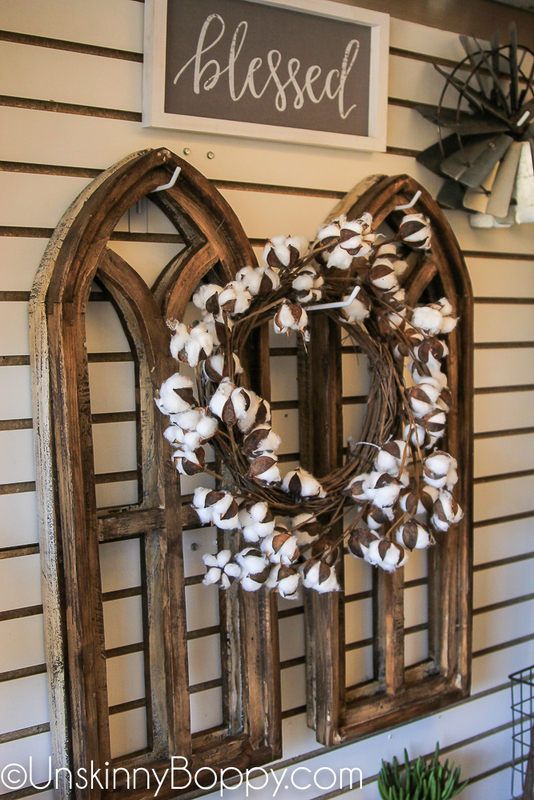 These rustic pallet “benches” hide the wheel wells and serve as beautiful displays for pretty pillows. 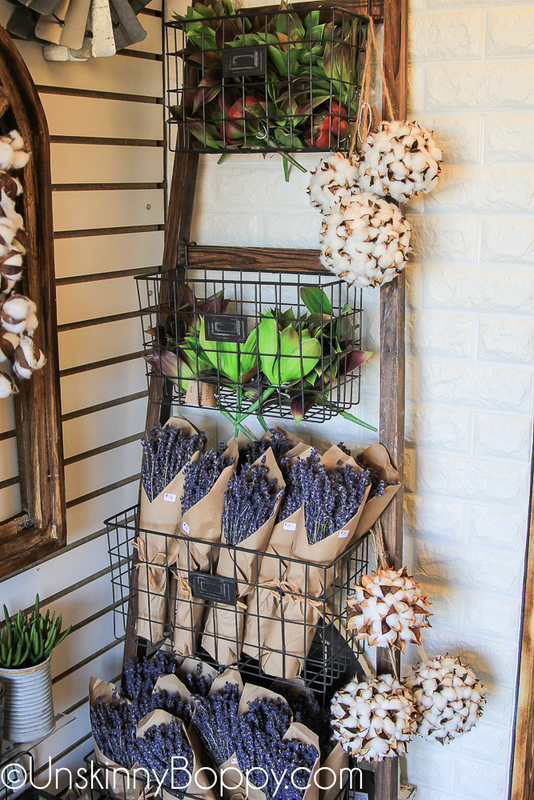 There are ladders for displaying bundles of lavender and cotton kissing balls. These gothic arch windows called my name. 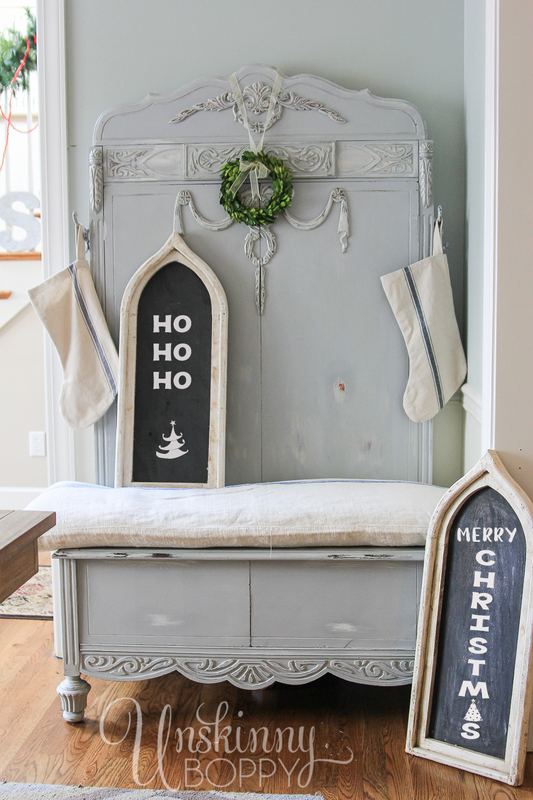 I have two gothic arch chalkboards that show up in my decor year after year, and these reminded me so much of them. Love ’em. And of course y’all know I’m such a sucker for succulents. 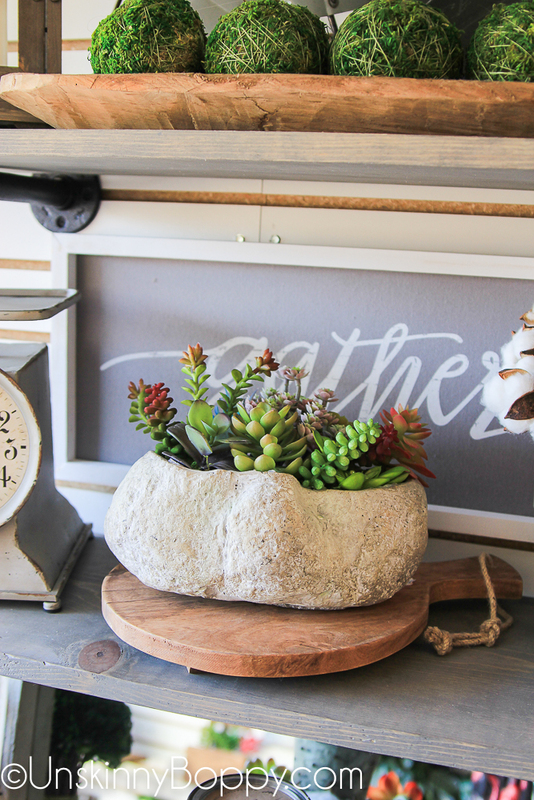 These are the most realistic fake succulents I’ve EVER seen. 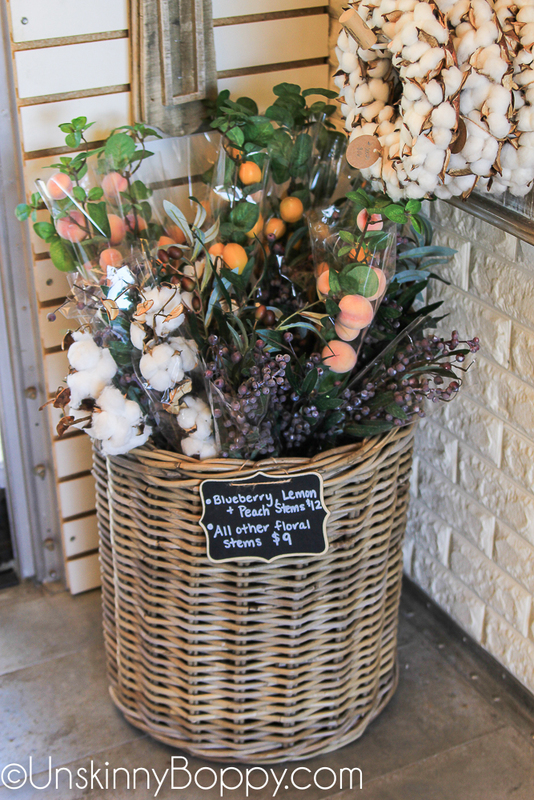 Lisa explained that she is a stickler for amazingly realistic floral stems and it shows. 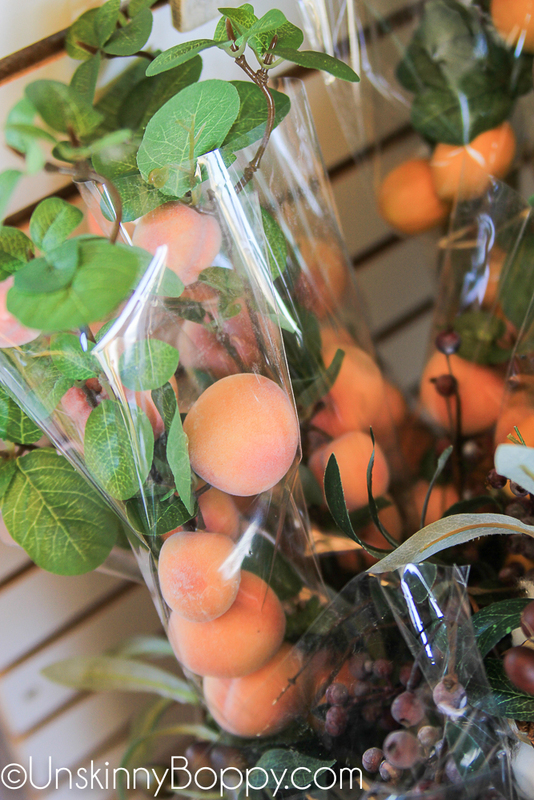 I can appreciate a woman who takes the time to search for the perfect fuzzy peaches or Meyer lemons on a stem. I, too, am a stickler for realistic looking fake flowers, so we are kindred spirits in that way. I feel you, sister. 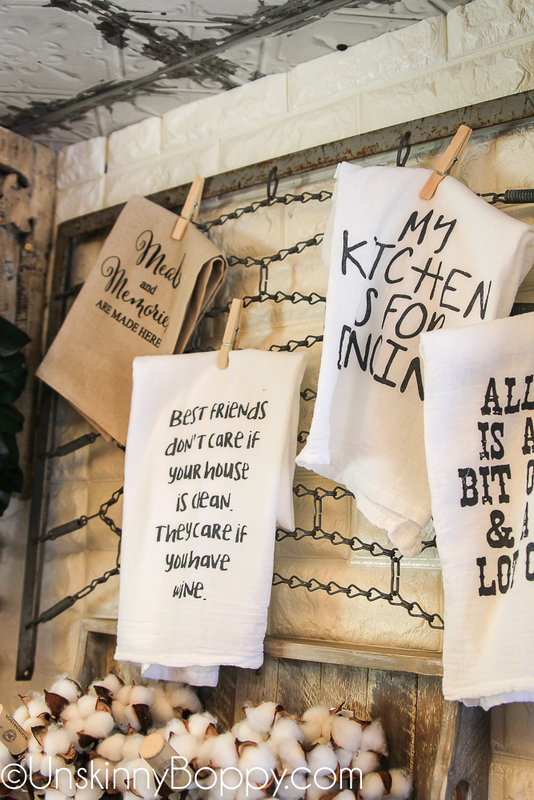 Realistic florals and clever kitchen towels are the way to my heart. 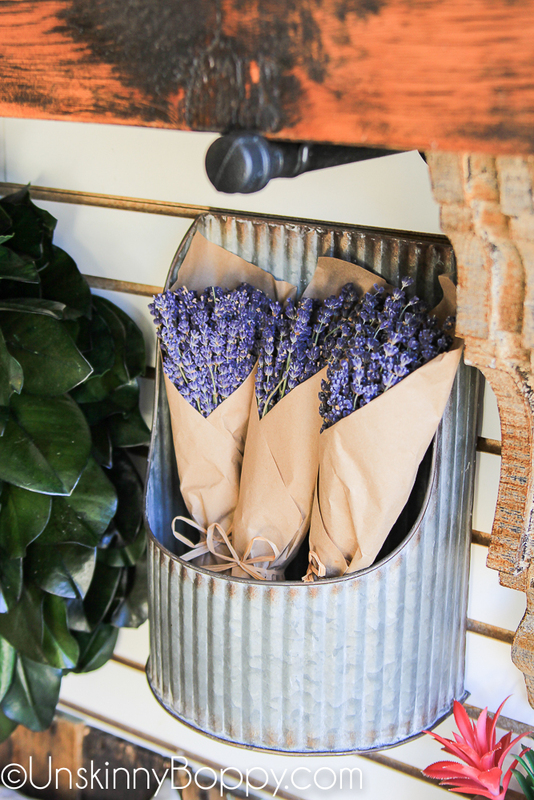 And dried bunches of lavender that look like the came straight out the French Provence. Gahhh don’t you just want to move into this truck? I love it all! 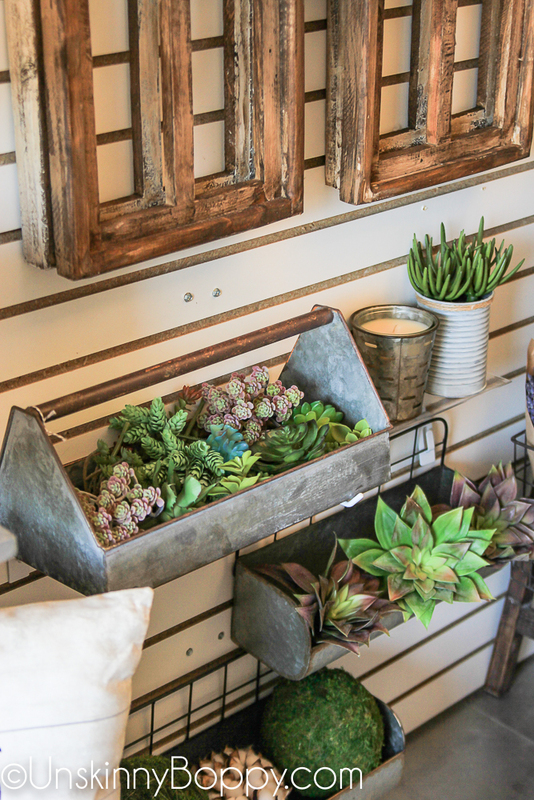 I love the way she’s hung the shelves with the cast iron pipe fittings. I might need to steal that idea for the man cave. I also love the pressed tin tile ceiling tiles which is actually just made from wallpaper! How cool is this? Here’s a link to buy some if you’re in the market. I think they’d make a great photo backdrop, too. 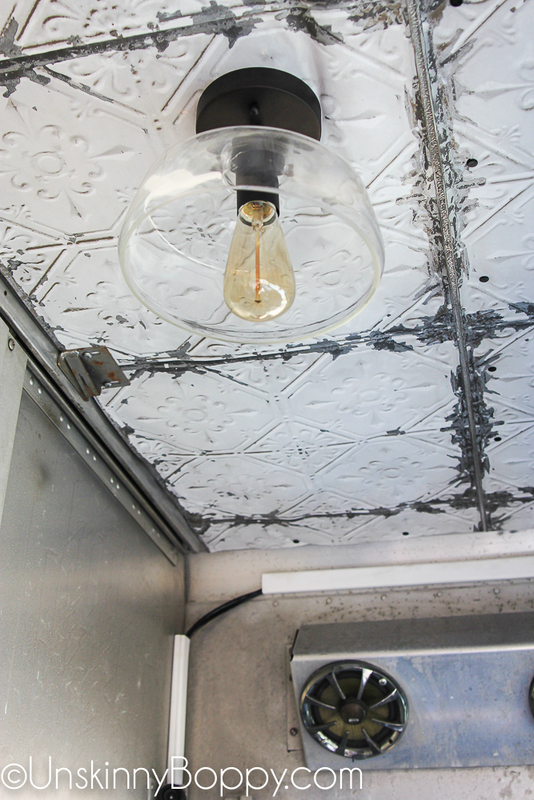 Buy Pressed tin ceiling wallpaper here. 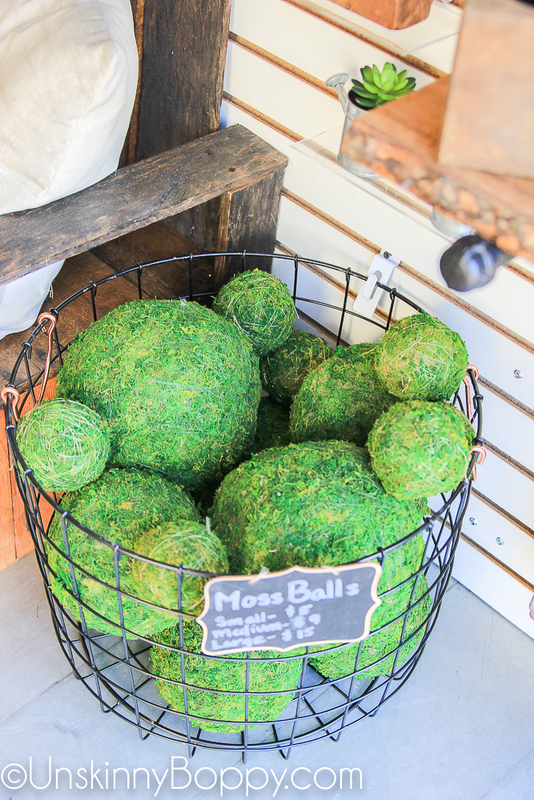 I’m trying to decide if I need to call her back up to buy a few of these moss balls for my dining room table. I had two giant moss balls when I lived at the old house and I sold them at my first yard sale in this new house. Still kicking myself over that move, so here’s my chance to get some more! Lisa also had an entire garage packed OUT with amazing inventory. 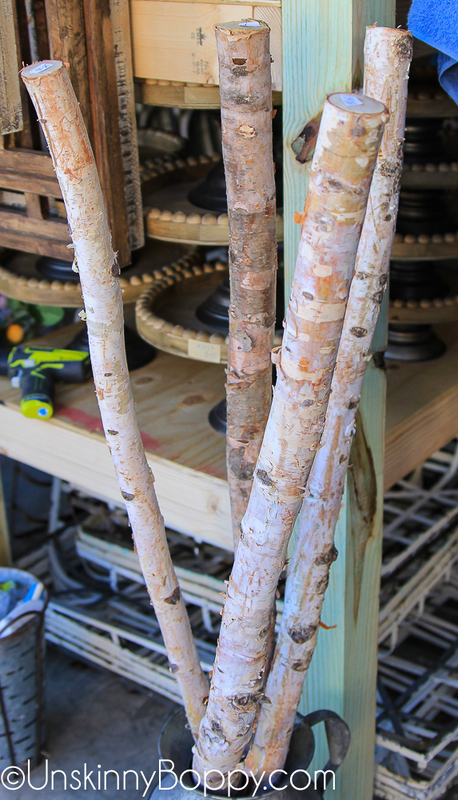 I spied some birch branches in a barrel that I had to share with y’all since I’ve had so many people ask me about my 3 birch branches in my foyer. These trees don’t grow down here in the South so it’s rare to find them for sale like this! Alabama ladies, if y’all are in the mood for a one-of-a-kind shopping experience be sure to give Lisa a call. This truck right here was SO cool. I was like a kid in a candy store! I vote that she starts a franchise business so there can be at least one in each state. What do you think? 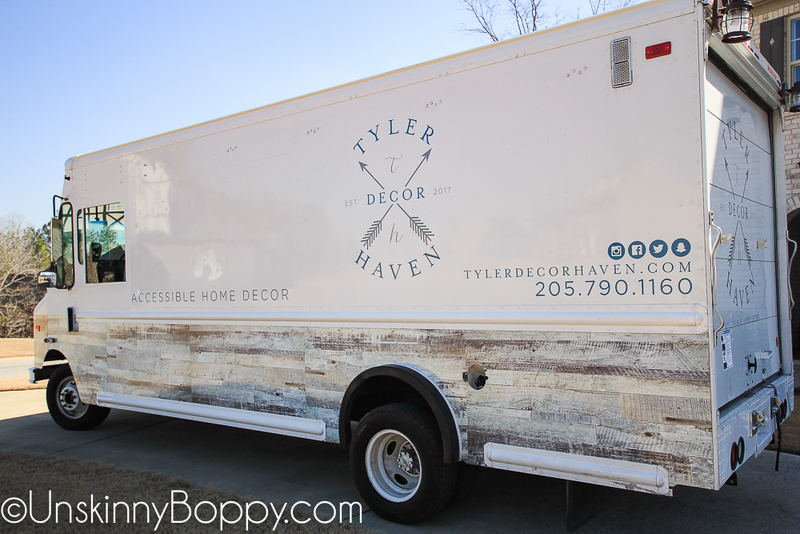 She named the business Tyler Decor Haven, in memory of her entrepreneurial father. This sweet photo is taped to the dashboard right next to the steering wheel. I have no doubt he is with her on this exciting new adventure she is taking in life. 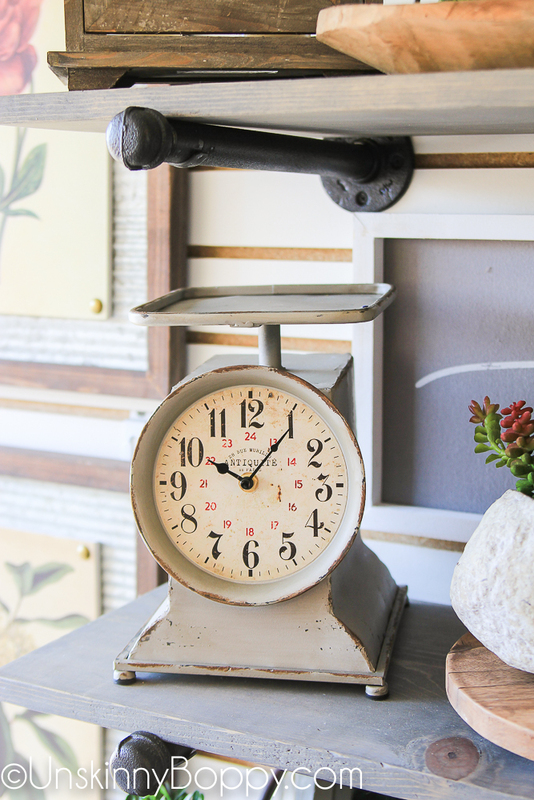 You can follow Tyler Decor Haven on facebook or instagram. 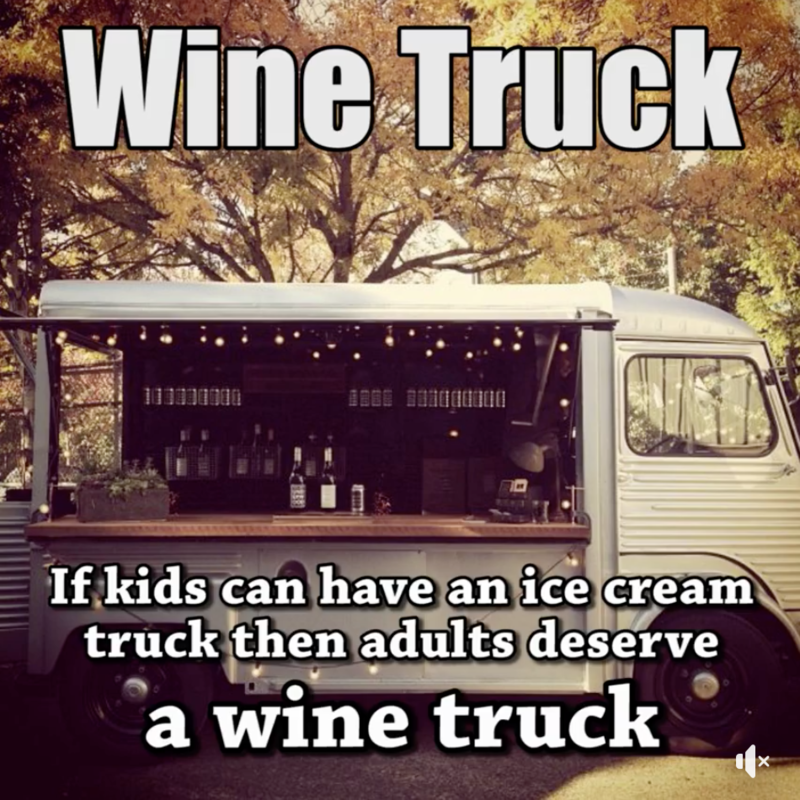 And now if you’ll excuse me, I’m off to scour the internet for an old ice cream truck so I can start my own business. I think I might have just found my retirement plan…. I did a little tour of the truck on Instagram stories so if you follow me on Instagram you probably already saw this video. If not, here ya go! I’ll take at least one of those trucks for Canada too please! 🙂 What an amazing idea! Thanks so much for the tour! I love so many things in this post, but it was a little hard to get the full impact. Thanks for sharing. I love this idea of designer on wheels. 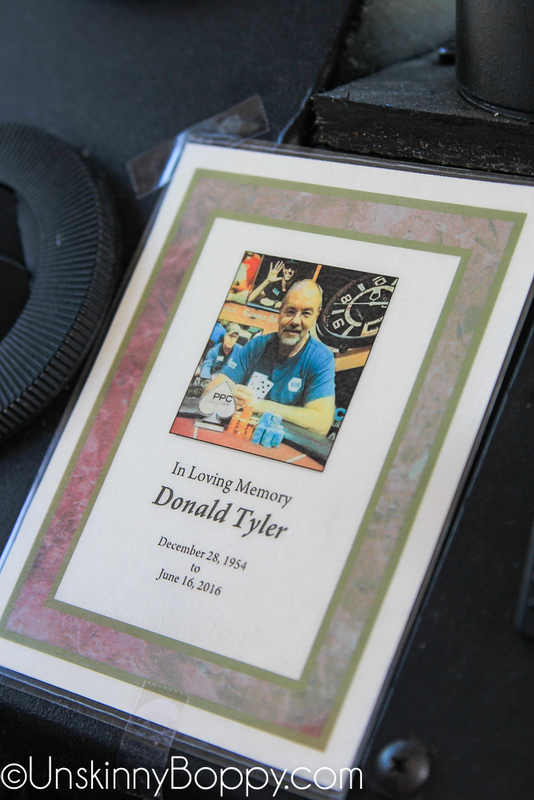 I love the idea of keeping your fathers picture with you at all times by taping it near the steering wheel where you can see him as you drive. Sweet! That’s really awesome…!!!! I agree she should start a franchise…!!!! What an amazing idea, shop on wheels! Such a brilliant idea. How much fun would this be!! I love it. What a fantastic idea….I wish Lisa all the luck and blessings in her new adventure!! 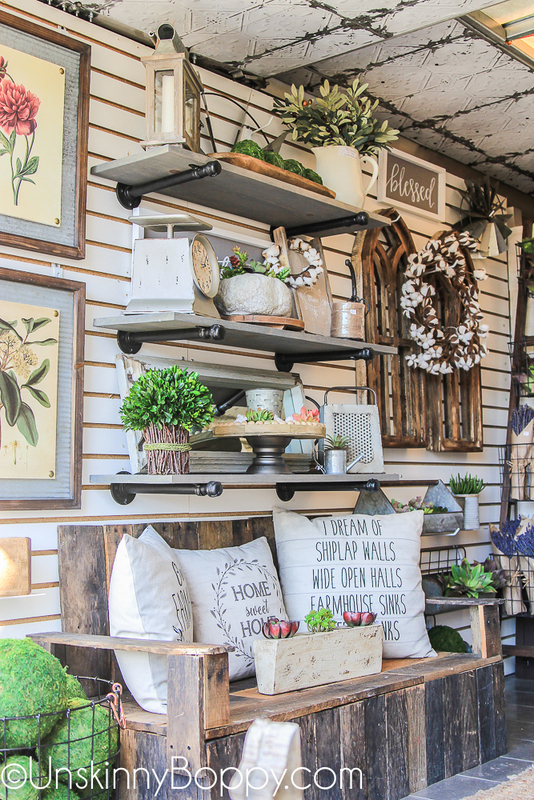 OK – this is an amazing idea and she has stocked this truck with absolutely gorgeous stuff! FL isn’t that far from AL, right?! Oh my goodness, I think this is such a fun idea! In Dallas we have tons of food trucks…I say just pull on up and sell a wreath! That is the coolest business ever!! I love the story behind it, and all the beautiful wares! you continue to take care of to keep it sensible. I can not wait to read far more from you.